Brazilian artist and writer Leo (Luiz Eduardo de Oliveira) continues his Worlds of Aldebaran saga with Antares Episode 3, the (presumably) middle part of the third series of his incredibly alien tales of 22nd century interplanetary settlers and the beasts and plants they find on the worlds that they settle. While the main expedition to Antares 5 sets up a base camp, a second shuttle has crashed. The rescue party finds the survivors but loses its aircraft in the process and so the few survivors of both craft are now attempting to return to the base camp location - a journey of many months that they are ill prepared for. Kim Keller, her daughter Lynn, lover Mark Sorenson, and friend Mai Lan, are all part of this disparate group of survivors who have little food or room in the tracked truck that must be their home. 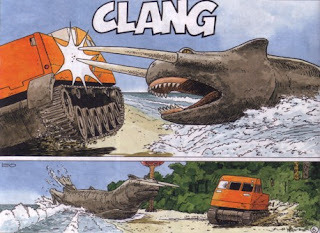 As they skirt the huge forests of the continent that they are trapped on, they must try to avoid the more dangerous of the alien beasts they encounter. Antares is the third in Leo's Worlds Of Aldebaran sagas, the previous two of which, Aldebaran and Betelgeuse, were serialised over five French albums each. 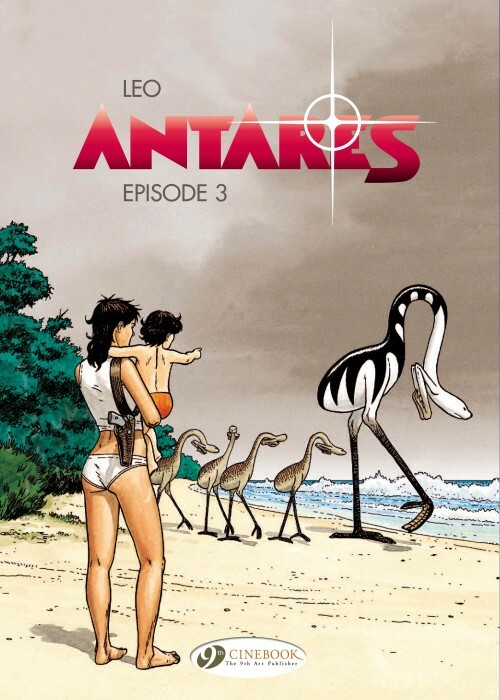 Antares is currently up to Episode 4 in French (due to be published in English in August 2013) and so I would assume that this story will also be five albums long making this the middle point of the story. Episode 3 is very much a character piece in which we discover more about the group of survivors as they struggle to cope with the planet, the beasts that inhabit it, and the rest of their group as the vehicle slowly makes it way back to a base camp that isn't that keen on finding them. As ever Leo's imagination for alien flora and fauna is the highlight of each individual book and, despite being the 13th album of this overall series, this book is no exception with trees bearing transparent eggs and fast moving crustaceans that appear from nowhere. I enjoyed this one, as I have enjoyed all Leo's previous books, but I'm also very aware that his sagas are often more than the sum of their parts. 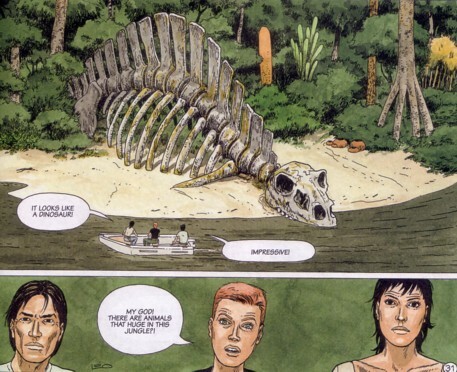 Individual books in the series can seem flat as apparently unrelated sequences build toward the bigger story and it can often be the fifth and final book in which everything falls into place and earlier encounters make sense. With Antares each book to date has ended on a puzzling cliffhanger, none of which have so far been explained, and Antares - Episode 3 is no different. It makes for a somewhat frustrating read when you know that the next book is not yet available however, once they are all available, I suspect that the same plot device will make them just as addictive, and as demanding of all being read in one sitting, as the two previous sets in the saga. 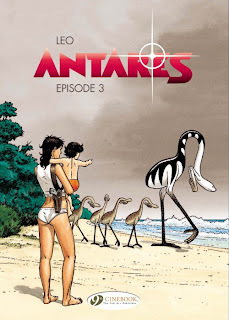 Antares - Episode 4 is due to be published in August 2013. The downthetubes review of Antares - Episode 1 is here and Episode 2 here.